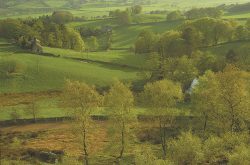 Enjoy driving routes on quiet winding roads in unspoilt, peaceful countryside, such as the hills & valleys of Coquetdale, Kielder & Northumberland National Park, and the stunning coastal roads that pass through such delights as Warkworth, Alnmouth, Seahouses & Bamburgh. 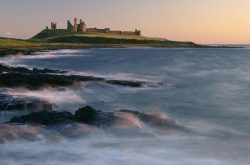 Northumberland, for those that know it, is a wonderful place to live, work, and enjoy your leisure. It is a place unlike any other in England. The only other place like it for peace and tranquillity is Scotland. Northumberland is full of wide open spaces, and empty of people! It has the smallest population per square mile of any other part of England. This brings us to the roads in Northumberland – an absolute pleasure to behold, a small population means that there is very little local traffic so only the main roads get busy with through traffic at peak times. Northumberland is dissected by the three main trunk roads, the A1 running North to South, the A697 running North West to South East, and the A69 running East to West from Newcastle to Carlisle. 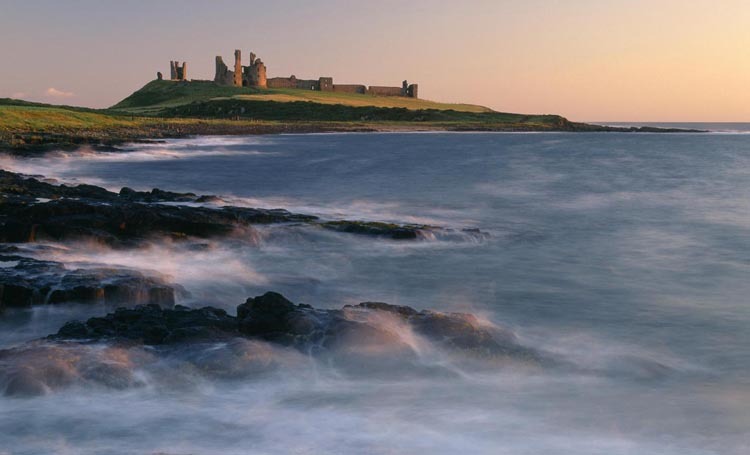 Northumberland is a very large county, north to south – Berwick upon Tweed to Newcastle is approximately 60 miles, and east to west – Amble to Kielder is approximately 50 miles; so many miles of peaceful hills and dales to explore! Elsdon towards Otterburn B6341 then A696. Bellingham to Kielder on C Road. Without detouring, this drive is about 90 miles in total and would take about an hour and a quarter each way (Of easy none stop driving). Although a map is suggested, and may be useful for plotting and local information you can usually navigate easily by the road signs. From Bondgate within, in central Alnwick, head uphill through the centre of Alnwick, south west on the B6341 heading for Rothbury, the route is well signed and you do not turn either left or right! Rothbury is about 11 miles. On leaving Alnwick you immediately begin to climb, and continue climbing for about three miles, when you reach the summit of the hill there is a lay-by where you can stop and take in the view. There is a superb panoramic view of the Northumberland coastline where you can see south to Blyth and Tyneside (30 miles) and north east towards the Farne Islands. Look north west and you will see the Cheviot Hills rolling away in the distance. Continue your drive and after half a mile or so the road bears left and everything on your right drops away to give a clear and unobstructed view of th e Cheviot and sister hills to your right hand side. This is in my opinion probably one of the best views in England. There are some parking areas to stop a little further on you right, but be careful, don’t go too near the edge! This is a perfect photo opportunity and probably one of the most spectacular views in Northumberland. From here in view is the Victorian railway viaduct at Edlingham, beyond the viaduct is the Medieval Castle of Edlingham (14th century) and a small church which is said to date back to Saxon times. A short stroll downhill from the parking area you will come to a small bridge over a stream, behind the bridge on the left side of the road is a lovely waterfall, at its best after heavy rain. Continue your drive towards Rothbury. You will cross a main road, this is the A697. 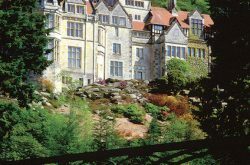 About three miles further on you will come into a much forested area, the area on your left is the National Trust’s Cragside Estate, this is a fantastic property and when you have time it really is well worth stopping for. 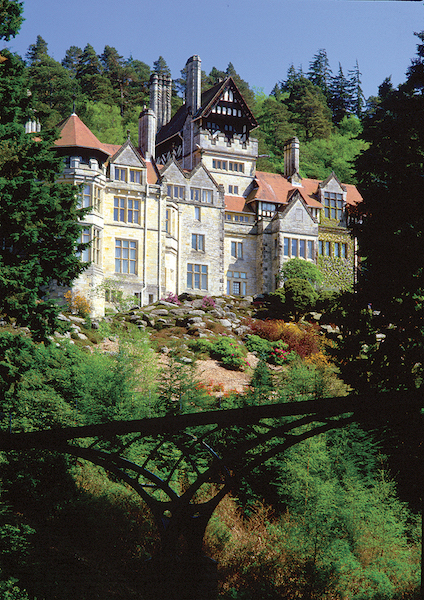 As you get to the bottom of the hill you will see a lake on you left (Tumbleton Lake) and the Cragside Stable block above the lake. This is now the visitor centre for the estate. A little further on you will reach Rothbury. Rothbury is a small bustling Market Town (ironically now without a market) with a good range of shops, from Rogerson’s an independant fine quality shoe retailer, to Tully’s one of our finest delicatessens, there are also a good range of places to eat. If you would like a recommendation to eat here, park in the main car park just over the bridge then walk back over the road bridge in Rothbury, you will see Tomlinson’s Cafe just on the left as you come back over the Bridge. Friendly service and a warm welcome are assured. After your refreshments continue your drive west along the main street through Rothbury and follow the signs for Otterburn. 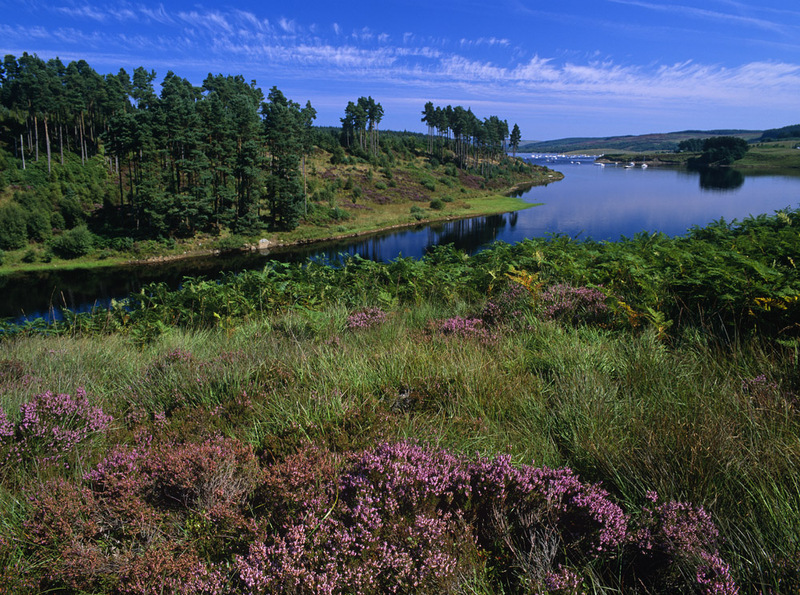 Otterburn is approximately 14 miles from Rothbury. As you leave Rothbury behind you can’t help but notice the massive range of hills on you left hand side, this is the Simonside Hills, made famous in Anya Seaton’s novel, ‘Devils Water’. The river on you left is the Coquet (pronounced ‘coke-it’). The next village you drive through is Thropton. Recently the Three Wheat Heads Pub in Thropton has undergone a change in management and they are gaining a reputation for good food. Continue straight through Thropton and the Coquetdale opens out into a wide valley. After Thropton the next hamlet you pass through is Hepple. After a few miles you will see a small caravan park on you right hand side as you begin to go up a steep hill, this is Billsmoorfoot. (Or Bills Moor Foot) The high stone wall on you left side is a Deer Park and contains a herd of Fallow Deer. When you get to the top of the hill you will find a parking area and view point on your left, you may be lucky (with the aid of binoculars) and catch a glimpse of the deer. The next village you come to is Elsdon. Just as you cross the bridge in Elsdon you will see a Pele Tower on your right side, this is still lived in today. It was probably built in the 13th century. (Pele Towers were places of refuge during the many raids by the Border Reivers) Continue on towards Otterburn and you will come to the A696 Road, turn right for Otterburn. As you approach Otterburn look out for the signs on your left for Kielder Water and Bellingham.. Follow the signs for Bellingham and the B6320. Bellingham is lovely small town with a small range of shops and pubs, and although small it is the largest area of habitation for miles. On the edge of Bellingham there is a lovely walk to a waterfall if you have the time. Look out for the signpost. Continue through Bellingham for Kielder. After just a few more miles you will come to the Pheasant Inn at Stannersburn another lovely place to eat, Robin and Angela will make you most welcome. Just beyond Stannersburn you will arrive at Kielder Water, the largest man made lake in Europe. There are walks, picnic places, and boat cruises to enjoy if you have the time. 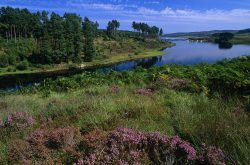 To make your way home, continue driving along the shore of Kielder Water and you will come to Kielder Village and Kielder Castle. From here you can pick up the Forest Drive which is a gravel road for about 11 miles. Continue along the Forest Drive until you exit onto the A68 Road. Turn right here,onto the A68 towards Otterburn, (signed Newcastle) the A68 becomes the A696. Travel through Otterburn and look for the B6341 Road sign-posted Rothbury on you left. 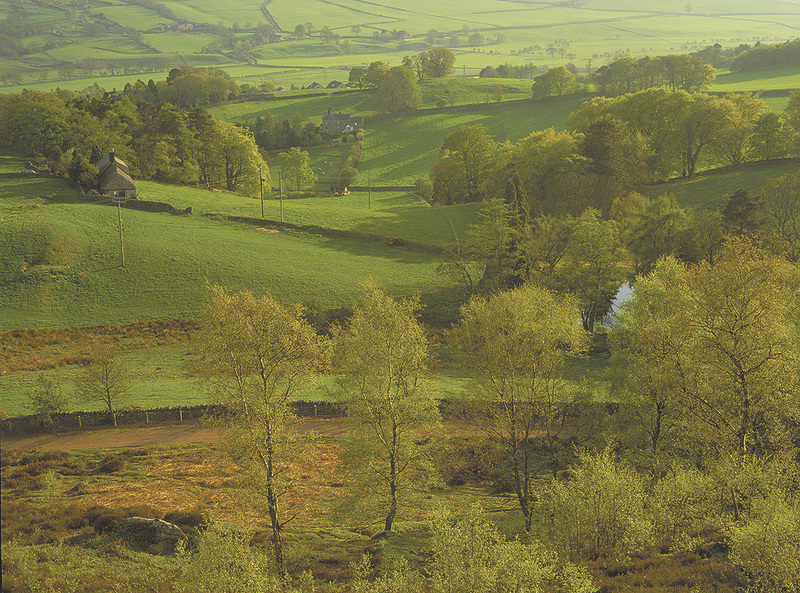 Retrace your steps to Rothbury, and then Alnwick. Car Hire available in Ashington and Newcastle.